I will echo others in welcoming you to a place you do not want to be!! Your fiancé is fortunate to have you with him...that always makes it easier. You would do well to seek a consultation/treatment at Johns Hopkins. They have an excellent reputation in bladder cancer treatment. CCA is a for-profit chain of hospitals that are known for having great bedside manners, but are NOT known for expertise in bladder cancer. You, and he, will want the very best that is out there. There will be some important decisions as to treatment to be made and you want the best information possible. The cause of bladder cancer is not always known, but smoking is definitely one. Was the second tumor already there at the time of the first biopsy? It is not unusual to have multiple rumors at presentation, and if it was small, it could have been missed. If this new high grade tumor arose in such a short time reaching the T1 stage, the concern is how quickly invasive disease can develop. Having a cystectomy once muscle invasion occurs is absolutely necessary, but getting rid of the bladder before nvasive disease develops has the best prognosis. Repeat BCG with interferon may be more effective than BCG alone. That's what they tried with me, but I kept having high grade recurrences and so opted for the cystectomy even though I had not had invasive disease. This was after 10 years cancer-free from the initial diagnosis. Another option which nobody ever tried with me is BCG maintenance. I had such an awful reaction to my second course of BCG I'm glad I had the cystectomy instead. As many will say: "Welcome but, we sorry you have joined our club". That said, you have done well with what most have and would do. Most of us encourage a second opinion and John Hopkins is world renowned in their balder department. My cancer was papillary (mushroom like growth) vs. the "flat" type he has. Both are dangerous when high grade. Some would say get rid of the bladder immediately some will say give BCG a second chance-with the risk of progression. Getting a muscle sample is a big key. If it has invaded the muscle you certainly want the cystectomy. Get that John Hopkins appointment ASAP and go from there. I am sure others will chime. Hello everyone. 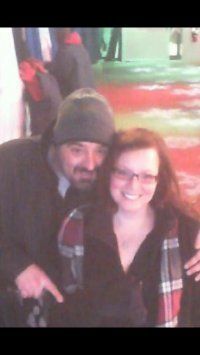 I'm new to this site and I'm trying to get as much info as possible for my fiancé who has been diagnosed with T1G3bladder cancer. He was diagnosed in Jan of this year with T1G3 non invasive bc. When he was given a cat scan to see how big his kidney stone was, they discovered the tumor. A urologist that his general practioner referred him to removed that initial tumor. Well long story short....after losing my mother in November of last year to cancer and dealing with a mess of a situation with the doctors at Georgetown, I decided to take him to a cancer treatment center. So we went to the cancer treatment center of America in Philadelphia, Pa. Wonderful place. They performed two days of testing which included bone scans, cat scans, blood work...you name it. Then they did a cysoscopy and discovered there was inflammation and the area of resection was still healing but it looked good otherwise from what they could see. So he began a six week bcg regimen and he tolerated it well. On his follow up Tur he had a new (not in the same place as the old tumor) high grade lesion that was <1 mm. The urologist recommended bladder removal but said if he wanted to try bcg again, she would obtain some more muscle to verify there is no muscle invasion and if not proceed with bcg. He has the tur scheduled for this thur. I have been told that even though we are at a cancer center that that doesn't mean that they are bladder cancer specialists. I'm going to make an appointment at Johns Hopkins ASAP for a second opinion because I know time is of the essence. I wasn't aware they specialize in bladder cancer there or I'd have taken him there to begin with. I would like to know if I'm missing anything here....if I should be doing something else to ensure we make the best possible choice for him. Also I wanted to add that a muscle sample was obtained and didn't show any abnormalities during his first cysoscopy at the cancer treatment center. The first urologist that initially removed the tuner did not obtain a muscle sample. Any input, suggestions, shared experiences, ect. would be helpful and most appreciated???? By the way is is a 43 yr old that has never had any medical issues. He did smoke for almost 20 years but has quit. Last edit: 4 years 10 months ago by Monopolip.